I currently have a number of positions on the books for Qualified Person (QP), and one at Associate Director Level. Based in County Mayo a full relocation package is included for candidates who need to move to the West Coast, along with a competitive package and an award winning work culture. If you would like to be considered for this fantastic opportunity why not contact me directly on my mobile 00353 (0) 87 25 35 247; Just ask for Patrick. Alternatively, follow the links below and send me your CV. Independent Search Solutions (ISS Ltd) is as the name suggests an Independent Recruitment Agency that aims to treat all its applicants with the up-most respect and in a professional manner. With a Company code of practice in place, you can be assured that your details will not be shown to any of ISS Ltd’s clients without your consent. 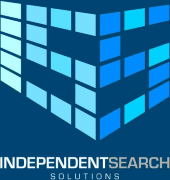 To apply for this job please visit independentsearchsolutions.com.